We return to the Marvel Cinematic Universe (MCU) this week in the long-awaited Guardians of the Galaxy Vol.2, so we sent UnCOVered’s resident cinephile Jim-E to a cinema not-so-far-away to give his spoiler-free review. Ah, that difficult second album. The first Guardians of the Galaxy movie (let’s call it Vol.1) had one big advantage over its sequel: surprise. When it was released in 2014 it was by far Marvel’s biggest gamble, and that is saying something. I think director James Gunn has to take the credit for turning a film about a green warrior woman, a talking racoon, a wrestler, a talking tree and the chubby guy from Parks and Recreation into a massive hit. 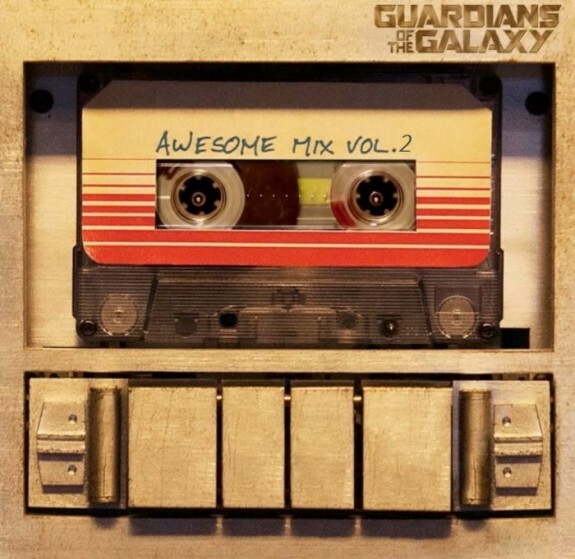 Gunn injected the comedic, light-hearted tone and a killer soundtrack. If you liked the first instalment, you’ll love this sequel. 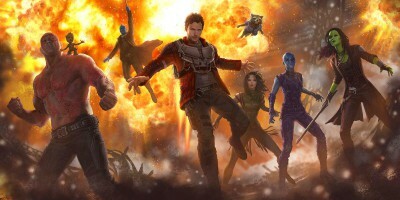 The main crew of misfits, Peter Quill/Star-Lord (Chris Pratt), Gamora (Zoe Saldana), Drax (Dave Bautista), Rocket (voiced by Bradley Cooper) and Groot (voiced by Vin Diesel) return and are running for their lives from an alien race called ‘The Sovereign’ when they receive help from an unexpected place: Ego, a celestial being who claims to be Quill’s dad. The team kick the film off with the best credit sequence I think I’ve ever seen. I’ve often left a cinema smiling from ear-to-ear but rarely does a film get me there within 5 minutes. That smile rarely falls throughout the first hour which serves as a great reintroduction to these characters we haven’t seen for three years. If the first film told the story of how they become a team, this sequel is about how they become a family. Everyone will talk about Baby Groot and how good Yondu is but for me, Drax steals the show with his dry one-liners, none of which I shall spoil here but many of which as so quotable I want t-shirts printed! The team finally uncover the true villainous plot at hand and must rally together to once again save the galaxy. The final third is a mash-up of great action, spectacular effects and retro feels! After one viewing, I don’t think this one quite hits the heights of the Vol.1, but it’s jolly good fun nonetheless. I couldn’t end this review without a word on the soundtrack which, much like the first movie, is incredible. It features hits from the early-80s which are too retro to be retro. We have tunes from ELO, George Harrison, Fleetwood Mac, Sam Cooke and Cat Stevens feature. I can confirm I have it on heavy repeat in the car at the moment. Finally, I’d like to thank the woman I sat next to at the opening night screening I went to. She talked throughout, exclaimed “awww he’s so cute” whenever Baby Groot was on screen and even sang along to the (awesome) soundtrack I mentioned above. 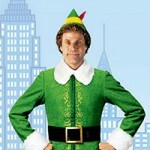 On another night she would have been very annoying, but it only serves as an excuse to go and watch this movie again. So thank you annoying lady, thank you. The Guardians of the Galaxy will return… in Avengers: Infinity War. Set excitement to full! Jim-E rated Guardians of the Galaxy Vol.2 at: 4 Baby Groots out of 5.